October 1, 2017 (San Diego) -- At a family reunion last month, my Aunt Abby and Uncle Glen got into a squabble over the best way to get their Medicare benefits. By Cate Kortzeborn, Medicare’s acting regional administrator for Arizona, California, Hawaii, Nevada, and the Pacific Territories. Read more about HOW MUCH WILL MY MEDICARE COST IN 2017? December 6, 2016 (San Diego) -- U.S. House Speaker Paul Ryan, Representative Kevin Brady, Chairman, Ways and Means Committee, and Representative Tom Price, Chairman, Budget Committee, who is President-elect Donald Trump's nominee for Secretary of Health and Human Services, are among Republican leaders in the U.S. House who support legislation to privatize Medicare by converting it to a "premium support" system. I urge your newspaper to editorialize against their efforts to change Medicare to a "voucher" plan that will raise the cost of health care for seniors. Just because the Republican Party has majorities in the House and Senate and the President-elect, it is not a mandate to destroy Medicare with a "voucher" plan to pay outright subsidies to insurance companies who make big contributions to many members of Congress. July 8, 2015 (San Diego’s East County)--Financial penalties imposed by Medicare on hospitals that have to readmit too many patients is having a positive impact. Scrutiny of readmissions is mandated under the Affordable Care Act. Update: The House has passed this measure, which now advances to the Senate. April 16, 2015 (San Diego’s East County) - This week, when most of us paid our taxes due on April 15th, the Republican majority in Congress is trying to push through H.R. 1105, a bill that would repeal the estate tax for millionaires and billionaires. 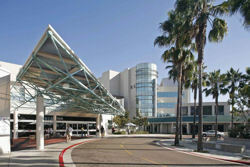 June 25, 2013 (La Mesa) – The Senior Resource Center at Sharp Grossmont Hospital offers free or low-cost educational programs and health screenings each month. The Senior Resource Center also provides information and assistance for health information and community resources. For more information, call 619-740-4214. For other programs, call 1-800-827-4277 or visit our web site at www.sharp.com. October 11, 2012 (San Diego) -- Are you new to Medicare? Do you want to make changes to your existing Medicare plan? Are you concerned about the future of Medicare? Medicare Open Enrollment is October 15 – December 7, 2012. 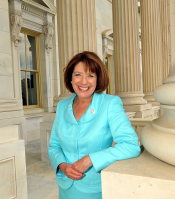 Congresswoman Susan Davis invites you to join her at an informational event to hear from experts about what Medicare Open Enrollment means for you, how you can make changes to your existing Medicare plan and how policy discussions in Washington can impact current and future Medicare beneficiaries. This event will feature presentations from issue experts and a Q&A session. SYLVIA’S SOAPBOX: WHO CHEATS IN ELECTIONS? VOTERS OR MASTERMINDS BEHIND THE MACHINES? May 15, 2012 (San Diego) -- Thirty states (not California) have enacted laws that require a photo-ID in order to vote. These laws are a violation of the Voting Rights Act and are unconstitutional, so they are always challenged in court. But right now---for this election, meet a woman in South Carolina: an 82 year old black woman who has been a registered voter in South Carolina since the Voting Rights Act was passed into law, has no government issued photo ID because she has always used public transportation and her birth certificate, (tucked into the family Bible) from Mississippi was lost in a fire---so she can’t vote. Read more about SYLVIA’S SOAPBOX: WHO CHEATS IN ELECTIONS? VOTERS OR MASTERMINDS BEHIND THE MACHINES? November 23, 2011 (Washington D.C.) – The Congressional budtet “super committee” charged with reducing the deficit by $1.2 trillion over the next 10 years failed to reach a deal by Monday's deadline. This sets in motion triggers forcing automatic deep cuts starting January 2013 in Defense spending and social programs including Medicare, Social Security, veterans’ benefits and food stamps. The six Republicans on the 12-member committee demanded spending cuts in domestic programs listed above and sought to extend Bush tax cuts. Democrats wanted to raise taxes on millionaires, minimize cuts to social programs and add stimulus spending aimed at creating jobs while off-setting costs with savings from ending the Iraq War. October 21, 2011 -- Curious about what new benefits Medicare has to offer? Looking to change your health coverage? Medicare’s annual open enrollment started October 15. During open enrollment, anyone with Medicare can make changes to their health care coverage. All final selections for next year’s Medicare coverage must be made by December 7. Please visit www.medicare.gov/find-a-plan or call 1-800-MEDICARE for more information.